In Risk of Rain 2, there are a variety of different characters to unlock and use. While some may be easy to unlock, others are a bit more complicated. What’s more, each character boasts their own unique benefits, making it well worth unlocking all of them in order to see which character’s play style best suits you. Struggling to unlock one or more characters in Risk of Rain 2? We’ve got you covered! Below, we’ve put together a complete guide explaining how to unlock all characters in Risk of Rain 2! Breaking down how to unlock all characters in Risk of Rain 2. As of the time of this writing, we’ve been able to unlock 6 different characters in Risk of Rain 2. Each character is unlocked differently in Risk of Rain 2, with some being easier to get than others. Characters that you can unlock in Risk of Rain 2 include: Commando, Huntress, Artificer, Mercenary, Engineer, and MUL-T. If we uncover any additional characters in Risk of Rain 2, we’ll be sure to update this guide with their unlock steps as well. How to Unlock Commando in Risk of Rain 2: If you recently started playing Risk of Rain 2, one thing that’s worth keeping in mind is that you don’t actually have to unlock Commando. Instead, Commando serves as the default character in Risk of Rain 2, and is available to you right at the beginning of the game. How to Unlock Huntress in Risk of Rain 2: To unlock Huntress in Risk of Rain 2, you’ll need to play through the game until you reach and complete the third teleporter event. Note that you’ll need to do this without being killed. If you’re having a hard time meeting this requirement, you can turn down the difficulty settings in order to give yourself a better chance of unlocking the Huntress character in Risk of Rain 2. 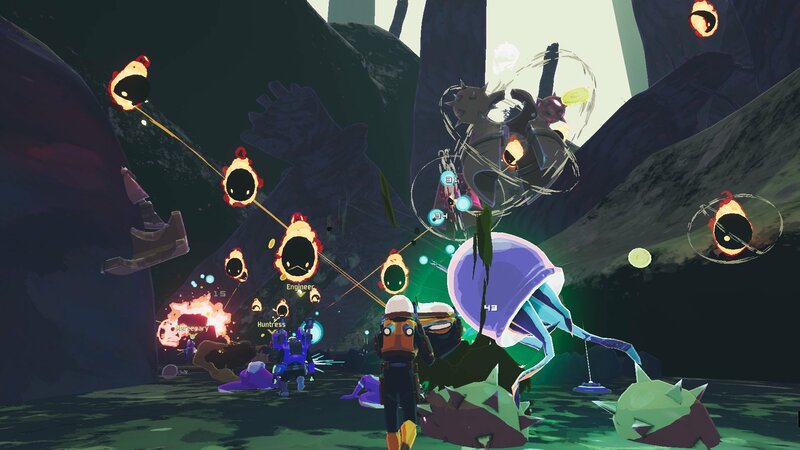 How to Unlock Artificer in Risk of Rain 2: To unlock Artificer in Risk of Rain 2, you’ll need to acquire 10 Lunar Coins by playing through the game and completing various tasks. Once you have 10 Lunar Coins, visit the nearest Newt Shrine and look for a blue orb. After that, use a teleporter and defeat the next boss fight in order to open up the Bazaar Between Time. Inside the Bazaar Between Time, look for a mysterious crystal. Interact with this crystal and exchange your 10 Lunar Coins to free the survivor. In doing so, you’ll unlock the Artificer character in Risk of Rain 2. How to Unlock Mercenary in Risk of Rain 2: To unlock Mercenary in Risk of Rain 2, you’ll need to run through the opening levels on the game’s first map. Beat all of these levels, then cycle back and run through them all over again. After beating the third level, a Celestial Portal should open for you. Enter the Celestial Portal, solve the platforming puzzle down to the Obelisk, then interact with this Obelisk and obliterate yourself from existence. In doing so, you’ll unlock the “True Respite” achievement as well as the Mercenary character in Risk of Rain 2. How to Unlock Engineer in Risk of Rain 2: To unlock Engineer in Risk of Rain 2, you’ll need to keep playing through the game until you’ve successfully completed 30 areas in total. While this can be a bit time-consuming, unlocking Engineer is relatively straightforward in that clearing 30 areas is the only set requirement. Once you’ve completed 30 areas in Risk of Rain 2, you’ll unlock the Engineer character as well as the “Engineering Perfection” achievement. How to Unlock MUL-T in Risk of Rain 2: To unlock MUL-T in Risk of Rain 2, you’ll simply need to keep playing the game until you complete the first area of levels five times in total. Note that we were able to unlock MUL-T and Engineer around the same time frame. After beating the first section of areas five times over, you should be able to unlock the MUL-T character along with the “Verified” achievement in Risk of Rain 2. Now that you know how to unlock all characters in Risk of Rain 2, be sure to check out some of our other Risk of Rain 2 guides including how to use the Ukulele in Risk of Rain 2, how to use the Tougher Times teddy bear in Risk of Rain 2, and how to obliterate yourself from existence in Risk of Rain 2.